‘Who are your favourite directors? Who do you admire?’ It’s a question I’m asked from time to time by both people who I’ve worked side by side with whilst making films, and those outside of the industry who are kind enough to be interested in what I do and why exactly I choose to (still) do it. Thinking back on my mental notes of film heroes and directors whose work makes me want to do cartwheels in the street, it’s surprising, perhaps even appalling, how few of those directors end up being women, and even less so, Australian. As a young pop culture obsessed child growing up in the Middle East, I grew up on a steady diet of Saturday morning cartoons, music videos, sometimes over the top but mostly charming American and British children’s television, deeply affecting melodramatic made-for-TV movies, and weekly VHS rentals my parents would bring home. So it wasn’t a huge surprise to myself when as a twenty-something sitting in on an Australian Cinema class last year that I realised: no, I couldn’t list some of my favourite female directors with ease because did any of them exist? And if they did, which surely they do, why weren’t people making more of a big deal about them? And since I didn’t know where to start, how could I educate myself about the work already made, and being made, by women film practitioners in Australia? 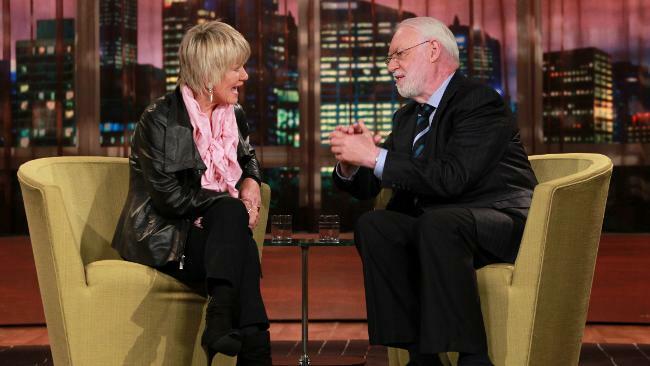 Margaret Pomeranz whom you will know as half of movie critiquing TV power-couple Margaret and David, has answered these questions I had as a frustrated film student with her guest curation of ‘Women in Film’ as part of GOMA’s Contemporary Australian Women exhibit, currently running. I think she has done an incredible job of hand picking some amazing national gems which not only showcase brilliant films by women depicting women but films that handle character studies of women from male filmmakers too. The films being showcased also signal the exciting emergence over the decades of women in other film production roles such as scriptwriting, producing, cinematography, art direction and editing. Look out for: an amazing all-star cast including Kerry Armstrong, Barbara Hershey and Rachel Blake; beautiful cinematography, which takes advantage of some truly breathtaking Australian landscapes; and original music by Paul Kelly. Look out for: a heartbreaking performance by Abbie Cornish, admirable art direction and poetic cinematography. Look out for: Starring Sascha Horler and a wonderful performance as the youngest in the family by Portia Bradley, a comforting familiarity for those who live in the Western suburbs of Melbourne (the film will play out like a moving ‘Where’s Wally’ of places you may have lived in or visited yourself). Look out for: Danielle Hall, who plays the protaganist Lena, a rare portrayal of a strong and determined young mixed race Australian girl who is actively seeking out and attempting to reclaim her personal history. Breathtaking cinematography observes both the quiet isolation of the country and inescapable bustle of the city with equal consideration. Look out for: an impressive young cast, an interesting look at the social hierarchy of teenage social groups and high schools, bold and compelling sound design and cinematography. Look out for: Frances O’Connor’s awe-inducing performance, familiar references to inner city Melbourne, a solidly impressive ensemble cast. Look out for: a lead performance from a very young Claudia Karvan who is completely mesmerising. Laura Jones’ original script which is bought to life here in this feature. Have a look at the entire program here. The program runs from now until 18 July 2012. This is a one-time opportunity to soak up some of the best Australian cinema produced over the last four decades, and possibly worth making an interstate trip for if you aren't a Queensland local. For more information on travelling to GOMA from out of state, have a look here, or if you want to weigh up your best local options for travelling there, click here. What films from the program have you watched before? Which ones are you looking forward to watching for the first time?